Although Richard Donchian passed away many years ago, his influence resonates. He is known as the father of trend following. His original technical trading system became the foundation on which later trend followers would build their systems. Where do you think the Turtle system evolved from? He is noteworthy among traders in general, as he was the originator of the managed money industry. From the time he started the industry’s first managed fund in 1949, until his death, he shared his research and served as a teacher and mentor to numerous present-day trend followers. Richard Davoud Donchian was born in Hartford, Connecticut, in September, 1905, the son of Samuel B. Donchian and Armenouhi A. Davoud, both of whom migrated from the Armenian province of Turkey in the 1880’s. Richard attended public schools in Hartford, the Taft School in Watertown, Connecticut, and graduated from Yale University in 1928 with a B.A degree in economics. Upon graduation, he entered the family’s oriental rug business. Although he appreciated studying about and collecting oriental rugs, he became more interested in the financial markets after reading the book about Jesse Livermore, Reminiscences of a Stock Operator. After suffering personal financial losses during the market crash of 1929, he began his study of technical analysis, believing that only the chartists made sense and money. While continuing to serve as a Vice President of the Samuel Donchian Rug Company, he became a securities analyst and account executive with Hemphill, Noyes & Co. in 1933. During World War II, he participated in the invasion of Sicily and later served as an Air Force Statistical Control Officer in the Pentagon. After the war he returned to the world of investments as a private investment adviser and economic analyst, remaining self-employed until 1960. In 1948 his focus changed from securities to the trading of commodities. He created “Futures, Inc.,” a pioneer publicly held commodity fund, based on the principle of diversification, an idea new in this field. He was later dubbed the ‘father of modern commodities trading methods,” having developed a technical trading method called “trend following,” which presupposes that commodity prices will move in long sweeps like bull and bear markets. He used a mathematical system based on moving averages of commodity prices. During this period, he authored numerous articles on both securities and futures trading. In 1960 he became associated with Hayden Stone Inc., as Director of Commodity Research. From then until his death on April 24, 1993, he was associated with the various configurations of Hayden Stone and Shearson Lehman Brothers (now Smith Barney) and was a Senior Vice President. Also in 1960 he became responsible for writing a weekly technical newsletter entitled “Commodity Trend Timing,” which he continued to author for 19 years. In 1963 he was awarded a Chartered Financial Analyst degree from the Institute of Chartered Financial Analysts at the University of Virginia. 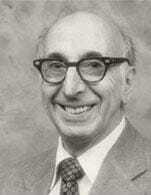 Mr. Donchian was best known for his pioneer work in the field of commodity futures money management. He was a member of the Commodity Exchange, Inc., the New York Cotton Exchange, the New York Futures Exchange, the New York Society of Security Analysts, the American Statistical Association, the National Association of Future Trading Advisers, the Financial Forum, and listed in Who’s Who in America. In June 1983 “Managed Accounts Report” selected him as the first recipient of its “Most Valuable Performer Award,” for outstanding contributions to the field of commodity money management. Everyone has a story. The key? Take something from it and imagine you there. Was Donchian an overnight sensation? After 42 years, Donchian was still managing only $200,000, despite his detailed graphs of price charts for stocks and commodities. Then, in his mid- 60s, everything came together, and a decade later, he was managing $27 million at Shearson American Express making $1 million a year in fees and commissions and another million in trading profits on his own money. Mid-60s? What patience and persistence! In a market in which upswings are likely to equal or exceed downswings, heavier position should be taken for the upswings for percentage reasons a decline from 50 to 25 will net only 50 percent profit, whereas an advance from 25 to 50 will net 100 percent profit. In taking a position, price orders are allowable. In closing a position, use market orders. Donchian’s blunt talk may explain why Harvard’s finance curriculum does not include mention of Dunn, Henry, Seykota, Campbell, Parker, Abraham, or Donchian himself. Richard Donchian left many students that still trade or run money management firms. A sampling of his students include: Nelson Chang, Robert Crowell, Barbara Dixon, Bruce Terry, Paul Dean and Brent Elam. Bottom line, trading as a trend follower is a learned behavior. However, most people don’t want to think or learn about new methods. It takes discipline. But, if the students of Richard Dennis or the students of the Richard Donchian trend system don’t provide inspiration as to how important learning the right method is toward achieving success…well buy a mutual fund and shoot for 5% a year.